B-2 Spirit bombers were mistakenly reported as UFOs. Many things that are reported as UFOs turn out not to be extraterrestrial at all. America's Lockheed F-117 and the SR-71 Blackbird jets both had designs that looked otherworldly. A natural phenomenon called ball lightning has also led witnesses to think they'd seen something alien. Mundane objects such as paper lanterns and party balloons have been reported as UFOs. It's a familiar and intriguing story: A strange craft appears in the sky, performs seemingly otherworldly aerobatics, baffles onlookers, and then is gone as quickly as it appeared, leaving us to question our eyesight and sanity. But the reality is, many foreign things seen in the sky - also known as unidentified flying objects, or UFOs - are revealed to be anything but extra-terrestrial. Most of these sightings turn out to be experimental planes, atmospheric phenomena, or merely everyday objects that slip from our hands and head skyward. By definition, UFOs are enigmatic, which is why people love to speculate about what strange sights in the sky could be. But just because an airborne object's origin is mysterious does not mean that it comes from another planet. An airliner that doesn't announce itself to a control tower qualifies as a UFO, for example. 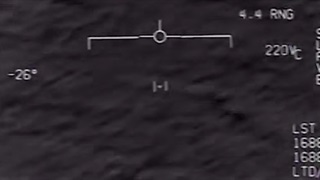 Here are 10 "UFOs" that turned out to be very much from this world. The Lockheed F-117 was created in secrecy. The first operational aircraft built around stealth technology, the Lockheed F-117 Nighthawk doesn't look conventional, and for good reason. The F-117's design is characterised by sharp angles and a low aspect ratio (small wings in relation to the plane's body). This strange shape allowed the craft to deflect and absorb radar signals, essentially becoming invisible to the high-tech systems used to detect enemy aircraft. 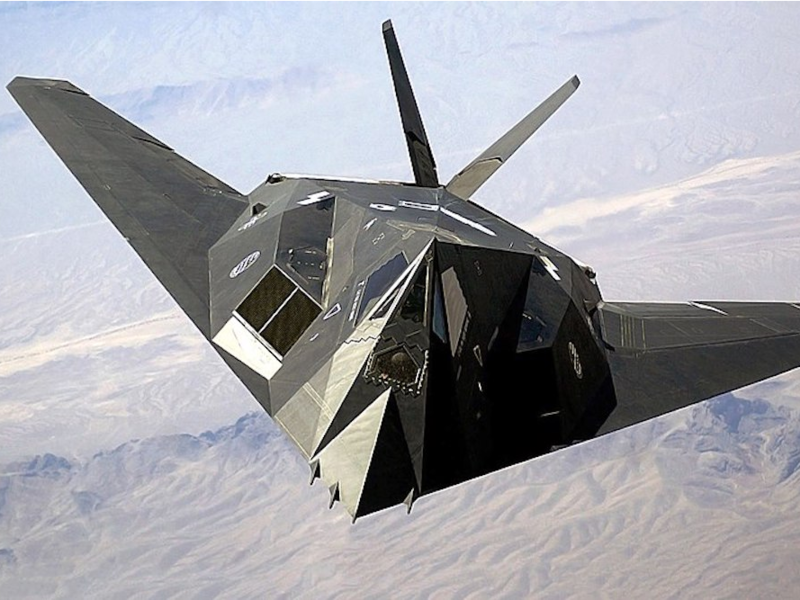 Because the F-117 was meant to fly undetected, its development was cloaked in secrecy. So after one of the aircraft crashed in a remote, mountainous area outside of Bakersfield, California in 1986, the Air Force closed the crash site and surrounding airspace to the press and public. They deemed it a "national security area," according to the Los Angeles Times. This led to public speculation about what the government was hiding, eventually forcing the Air Force to go public in 1988 about its long-rumoured but never confirmed F-117, according to the New York Times. 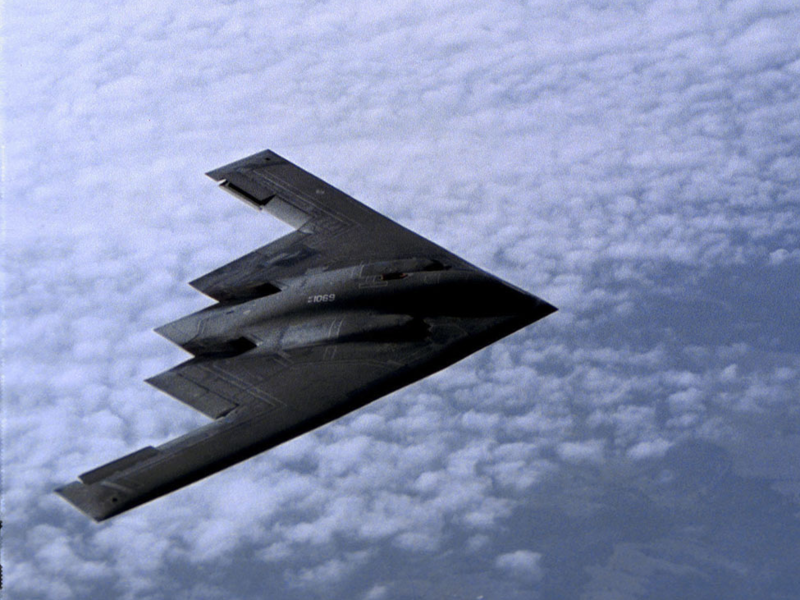 The Northrop Grumman B-2 bomber's sleek design has led people to question its origins. Similar to the F-117, the B-2 "Spirit" bomber - commonly referred to as the "stealth bomber" - was also designed around evading detection. 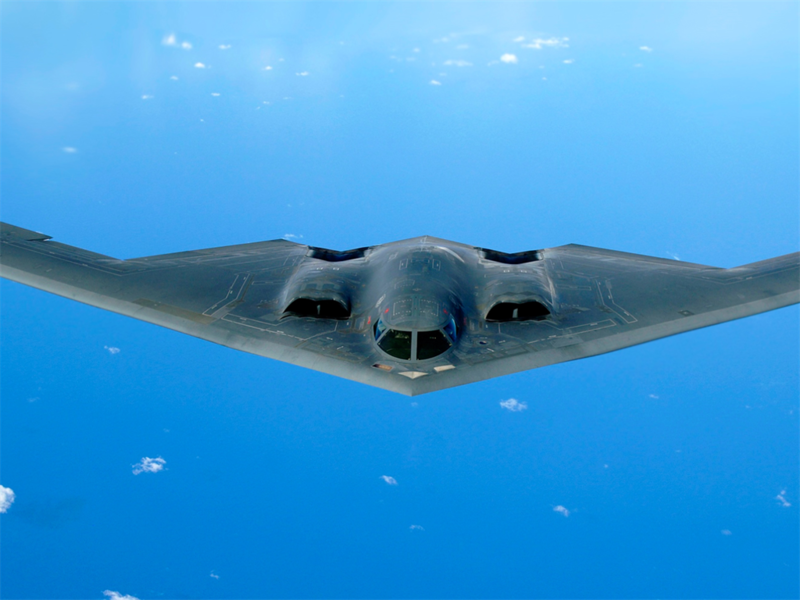 The B-2 is essentially designed as one, smooth, uninterrupted wing - its shape is known as a "flying wing." The plane doesn't have any reflection-prone tails or fins, which make typical aircraft easy to spot with radar. Given the B-2's smooth, uniform shape, it's easy to see why people on the ground could think this hulking black triangle is from another world. Plus, flying-wing aircraft were first conceptualised (but not utilised) in Nazi Germany at the end of World War II, so the design is sometimes associated with evil scientists and other sci-fi antagonists. Ball lightning is a natural phenomenon, but it has left many witnesses confused. Natural phenomena on Earth sometimes create sights and sounds that get misinterpreted as proof of visitors from beyond our planet. 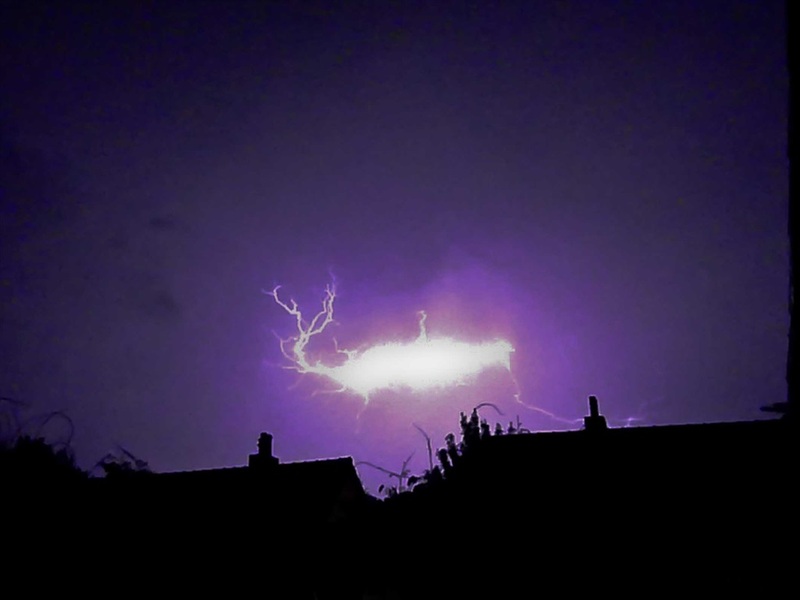 Mysterious ball lightning sightings are a fascinating example. Ball lightning is the name for a localised but intense explosion of energy. Like the long-fingered, ground-punching lightning strikes we're used to, ball lightning is caused by electrical discharges during thunderstorms. But unlike conventional lightning, ball lightning comes in the form of a fireball that can bounce around chaotically, hover in place, and even travel through walls. The causes and mechanisms behind ball lightning have long eluded scientists, though reports of it have popped up for centuries. However, scientists have recently started to note the similarities between the structure of ball lightning and a bizarre quantum structure known as a "Shankar skyrmion." The idea - which was first proposed in a 1996 paper in Nature - is that ball lightning lasts so long because it involves a kind of electromagnetic knot. This type of knot is also seen in a Shankar skyrmion: a quantum structure that was first theorised in 1977 and created in a lab for the first time earlier this year. A failed missile test in Norway was thought by many people to be a UFO. A large spiral appeared in the winter sky in Norway in December 2009. Blue-green plasma appeared to shoot from its centre. The source of this awe-inspiring display was a failed experimental Russian space launch. A Bulava missile, an intercontinental weapons system designed to deliver atomic bombs, malfunctioned shortly after liftoff. 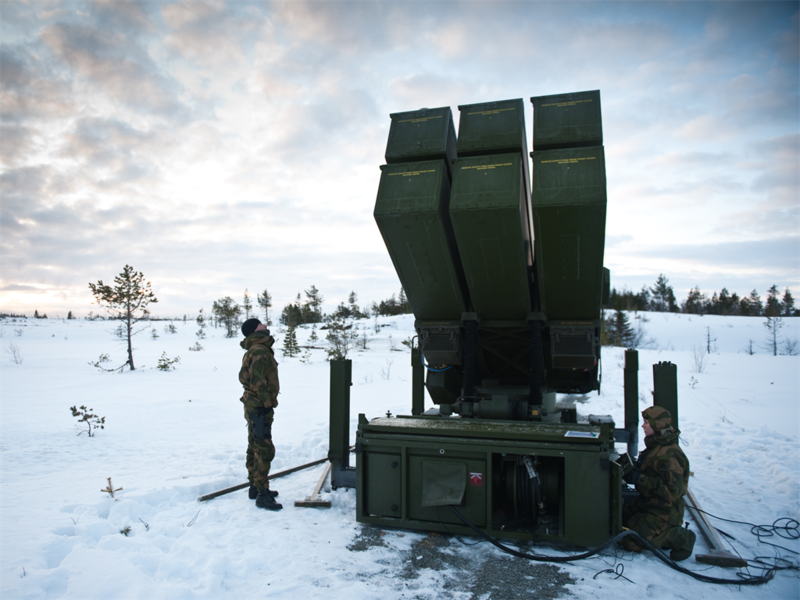 The missile launched from a submarine in the Arctic White Sea, but a glitch caused the missile's rocket motor to lose control, creating the dramatic spiral design seen across the Nordic sky. The SR-71 Blackbird looks otherworldly. 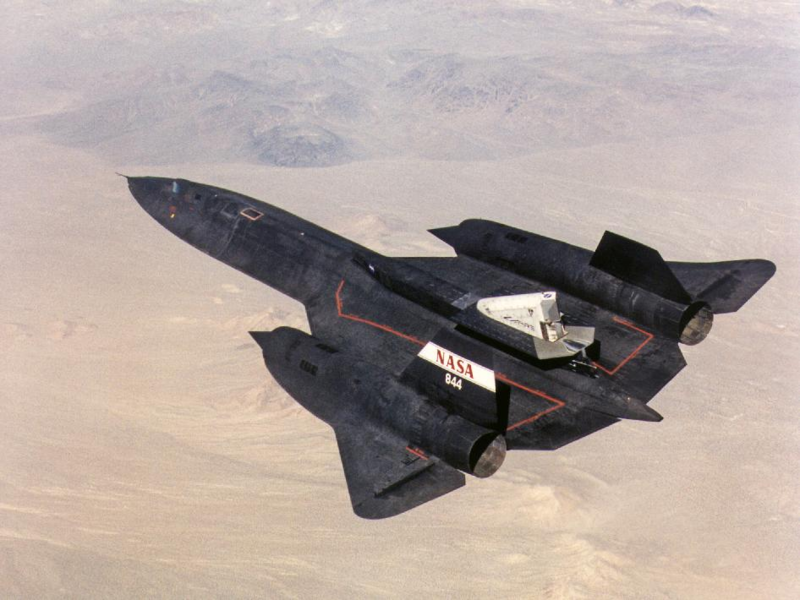 Like the F-117, the SR-71 Blackbird was born out of Lockheed Martin's famous yet secretive "Skunk Works" division. The Blackbird is the fastest air-breathing jet aircraft to ever fly - it's capable of travelling at 3,540km/h (Mach 3+) and can make it from New York to London in under two hours. The aircraft is a testament to the extreme measures the United States took during the Cold War. Designed to outrun anything, the Blackbird is a reconnaissance plane. Its mission: fly to a target, take pictures, then leave. The Blackbird has served as the inspiration for many sci-fi craft, including Queen Amidala's royal starship in "Star Wars: The Phantom Menace" and the "X-Men's" X-Jet. So imagine you're a casual movie-fan on a starlit night in the Mojave Desert, and a large black mass streaks across the sky at unbelievable speeds. 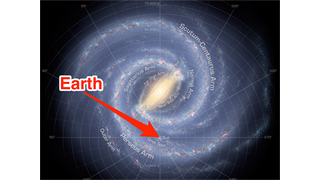 You'd probably think it was otherworldly, too. 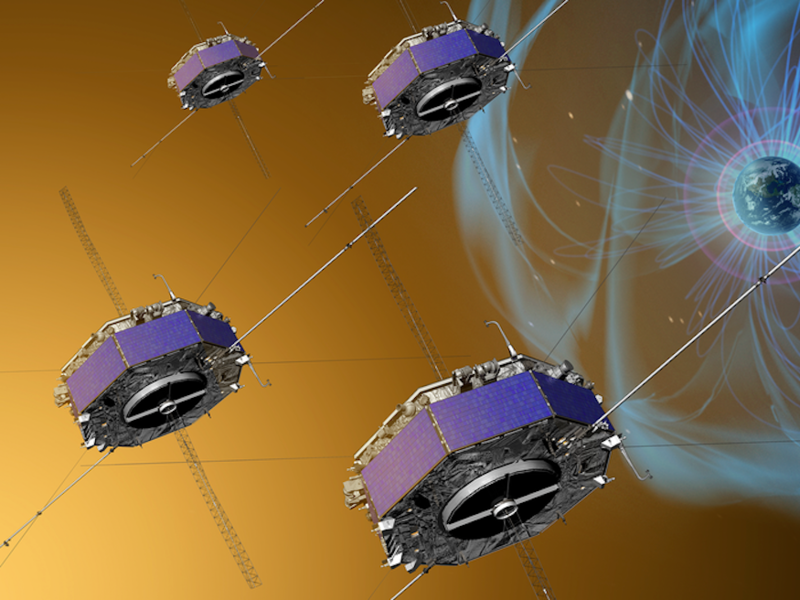 Satellites that fly in formation can look like something from a sci-fi movie. Satellite arrays are becoming increasingly common. But viewed from the ground at night, these arrays can look like the outline of a shadowy alien spacecraft. The first such array was the US Navy's Naval Ocean Surveillance System, which initially launched in the 1970s to track Soviet naval vessels from low-Earth orbit. In 2016, four NASA satellites set a new record for satellite formation flying - they orbit our planet in a tetrahedron shape only 7.2km away from each other. 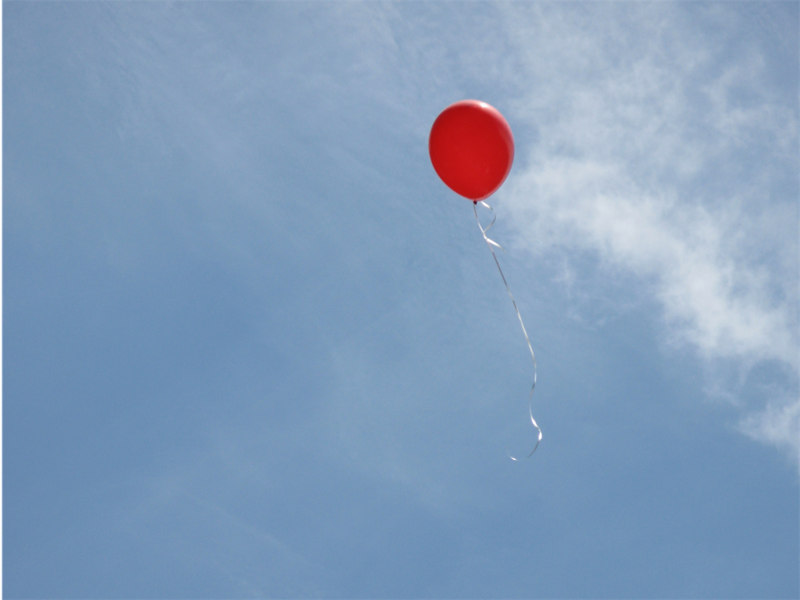 Simple party balloons have been reported as UFOs more than once. In 2010, students at the Milestone School in Mount Vernon, New York threw an engagement party for their teacher. But 12 of the balloons broke free and floated into the sky, heading south. Within the hour, spectators in Manhattan's Chelsea neighbourhood began reporting that a strange, silver cluster of hovering objects above the streets. Though the mystery was quickly solved, several people called the NYPD, the NY Post reported. This was not a one-off occurrence. Residents of Sioux Falls, South Dakota have also reported multiple UFO sightings over the past few years, which turned out to be high-altitude balloons created by Raven Industries, which is located nearby. As reported to the Sioux Falls Argus Leader, the company specialises in balloons that are used to monitor weather or provide experimental internet connectivity. 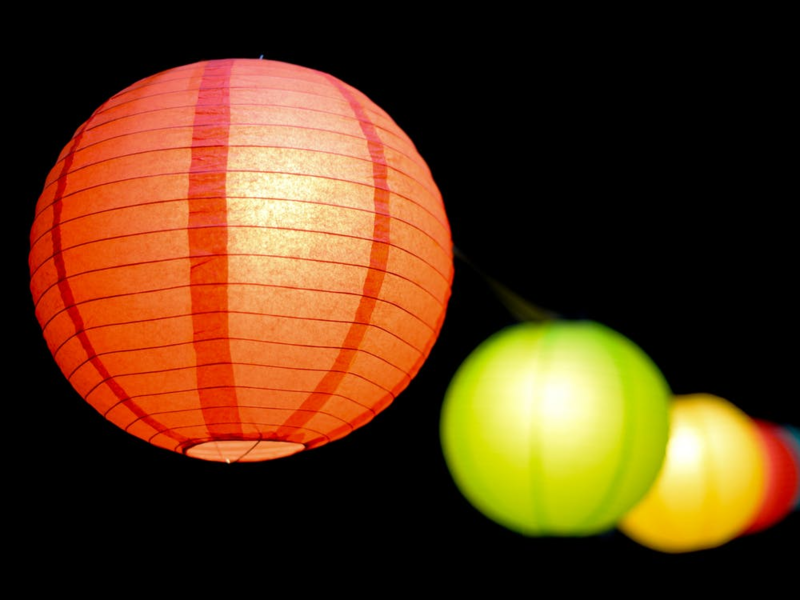 Paper lanterns have also caused quite the stir in the UK. For 50 years, the UK Ministry of Defence ran a UFO unit within the Royal Air Force that diligently recorded UFO sightings. But the "UFO Desk" was shut down in 2009 after it got inundated with reports of orange lights floating in the sky. These sightings all turned out to be paper lanterns, which had grown in popularity in the UK, according to The Telegraph. In the briefing held before shutting the unit, officials from the RAF pointed out that dealing with the increased volume of UFO sightings was keeping staff from more pressing defence concerns. 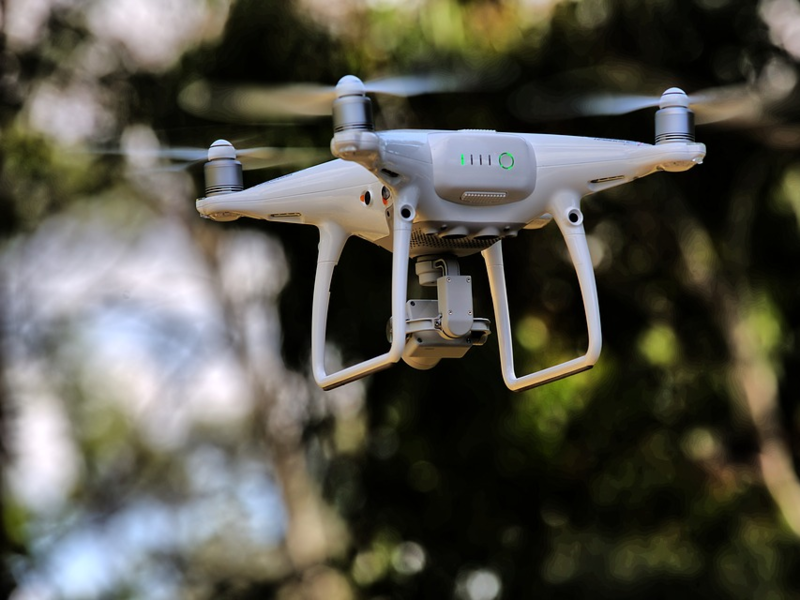 Drones also get reported as UFOs. In October of this year, New Jersey residents called and tweeted at their local news station about strange, blinking lights hovering in the sky above the Garden State Parkway. But as the Township of Wayne Police Department pointed out, these lights came from a drone that was being used to pursue two suspects in a Home Depot robbery, according to ABC News. Project Mogul (The Roswell Incident) might be the most famous instance of a UFO sighting. The story of Roswell, New Mexico, looms large in any discussion of UFOs. In 1947, an unknown craft crashed in a desert in the American southwest, spurring all sorts of theories about secret government sites, stashed extraterrestrial bodies, live alien prisoners, and more. But the truth is most likely mundane. In the late 1940s, as the Cold War ramped up, the United States was looking for ways to monitor the Soviet Union. The US had dropped the first two atomic bombs on Japan in 1945, and was wary about the USSR's dedication to developing their own atomic weapons (they would succeed in 1949). One attempt to monitor the Soviets was the US Air Force's Project Mogul, which involved launching weather balloons that were affixed with microphones and radio transmitters to listen for potential nuclear tests. The project was eventually scrapped, but not before one such weather balloon crashed near Roswell, New Mexico. In 1997, around the 50th anniversary of the Roswell Incident, the Air Force publicly offered this explanation of the incident. The Air Force also had an explanation for the claim that alien bodies had been recovered from the crash site. Around the same time as Project Mogul, the US military was developing specialised parachutes and ejection seats for its high-speed, high-altitude aircraft. Early tests of these seats involved pushing dummies out of planes to see how much a human body would spin during the descent. 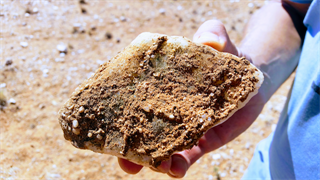 Hence, mangled, hairless humanoid "remains" in the desert. However, even after the information about these tests came out, UFO enthusiasts were not convinced, as the Washington Post reported.